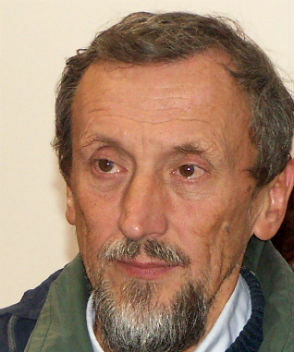 Andrej Ule (1946) was born 1946 in Ljubljana, Slovenia. He graduated 1971 in mathematics and achieved M.A. (1974) and phD (1981) in philosophy at the University of Ljubljana. He got in 1982-3 the Humboldt grant for the study of logic and theory of science in München, at the Institute for Logic, Theory of Science and Statistics. His current position: Professor of analytic philosophy and philosophy of science at the Faculty of Arts, University of Ljubljana. Fields of interest: philosophy of logic, Wittgenstein’s philosophy, epistemology, philosophy of science, comparative philosophy. Some of his recent books are: Operationen und Regeln bei Wittgenstein (Frankfurt/M, 1998); Logos spoznanja (Logos of Knowledge)(Ljubljana, 2002); Dosegljivost resnice (Attainability of Truth) (Ljubljana, 2004), Znanost, družba, vrednote (Science, Society, and Values)(Ljubljana, 2006), Circles of Analysis: Essays on Logic, Mind and Knowledge (Berlin, 2008).